If you’re considering building a Magento 2 website, then now is the PERFECT TIME. Not only has the platform reached a maturity and stability that you can trust your business with, but the rest of the community think so too – all major extension providers and partners fully support Magento 2 right now. Here’s some of the great new features included in Magento 2. And be sure to choose someone who has plenty of experience with the platform – we’re a Magento Partner, all our developers are Magento Certified, and we are a Magento 2 Trained Solution Partner. 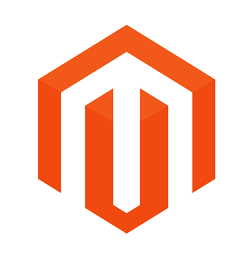 Magento 2 is a product that is worthy of its major release version number change from 1 to 2. This is a ground up product rebuild, taking all the core concepts, business functions and tech functionality from Magento 1, but writing the code again, from ground up, remodelling indexing, caching, PHP usage, test-driven code structure and a re-think of the back-end architecture. Here are some of our key takeaways thus far. Perhaps your business operates very well with just Magento in place, but more than likely you want to integrate with third party systems – whether that’s payment gateways, ERP systems, email marketing platforms or logistics platforms. We are here to architect, scope, build, test and support those integrations with you, long term – from the simplest, fully documented plug-and-play integrations, to wholly custom large scale projects. Drag & drop interface and sorting rules to better optimize your product pages. Products can be automatically assigned to specific categories based on their attributes. Provide the ability to create company accounts, set up multiple buyers and define their specific roles and responsibilities with self-service tools. Create customs catalogues and price lists. Use quick purchase forms, requisition lists and a streamlined request for quotes workflow. Segment your customers based on demographics, order history, viewed products, lifetime purchase value etc. Display content, promotions and pricing to specific segments. 1 click/Instant purchase for returning customers to optimize and increase repeat purchases and long-term customer loyalty. Target different customer segments with up-sells, cross-sells and related products, and increase your conversions and sales. 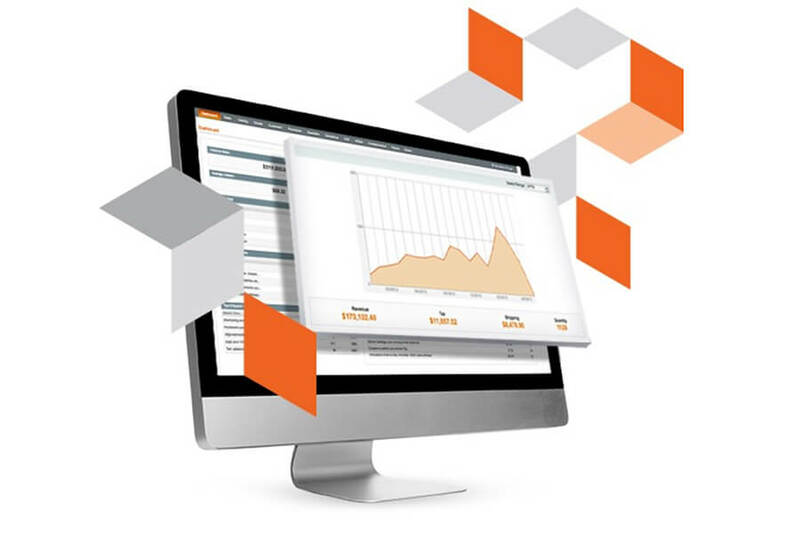 Temando powers Magento Shipping with an enterprise-grade API that provides speed, scalability, reliability, and connectivity with third party WMS, OMS, and ERP systems. Built on the latest AWS and micro service technology. Easily create, preview and schedule content updates from admin dashboard, based on specific date or store view. Optimize the timing and impact of website updates by managing changes through a timeline dashboard. The cloud enables agile market expansion, hyper growth and internationalisation, and an integrated omnichannel experience. 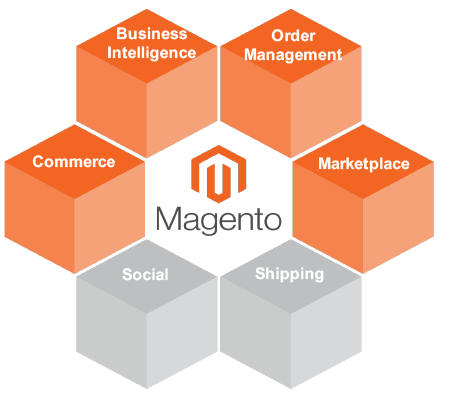 Magento Commerce Order Management coordinates your customers’ experience across all sales and fulfilment channels. Rather than replacing existing legacy systems, it works with them, gathering information from each touchpoint. It orchestrates and optimizes based on rules and processes. From capture to source, and ultimately fulfilment, the customer remains at the centre of your operation at all times. You get a rich feature set that includes distributed order management, omnichannel fulfilment, inventory management, Payments and Risk, and reporting and analytics. This modular based solution, pre-integrated with Magento 1.X and 2.X, gives you the flexibility to implement as a fully integrated solution or add modules as you grow. 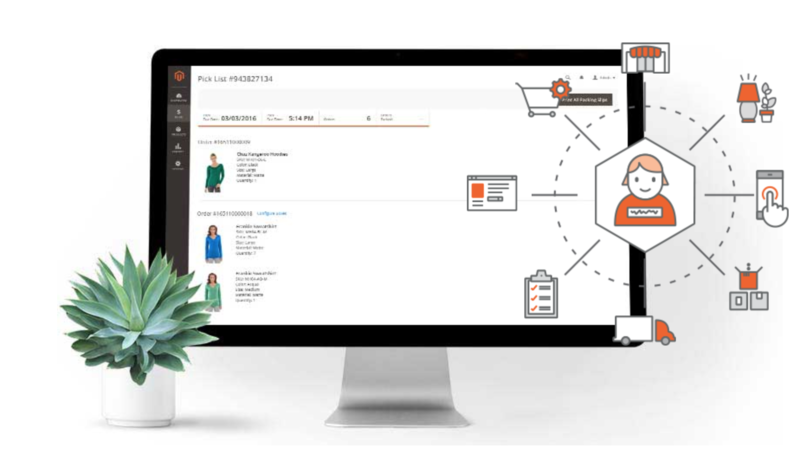 With Magento Commerce Order Management you will have the systems and processes necessary to master this business fundamental – delivering better customer experiences, higher sales, and lower fulfilment costs. Deliver one view across all channels and route orders to the appropriate fulfilment location. Turn stores, suppliers, and partners into mini-distribution centres. Expose store inventory to online shoppers, and provide flexible fulfilment options. Provide full inventory visibility and exceed the high expectations of your customers. Deliver high quality customer satisfaction with our customer service features. Built on the latest AWS and micro service technology, Magento Shipping is easy to set up and configure. 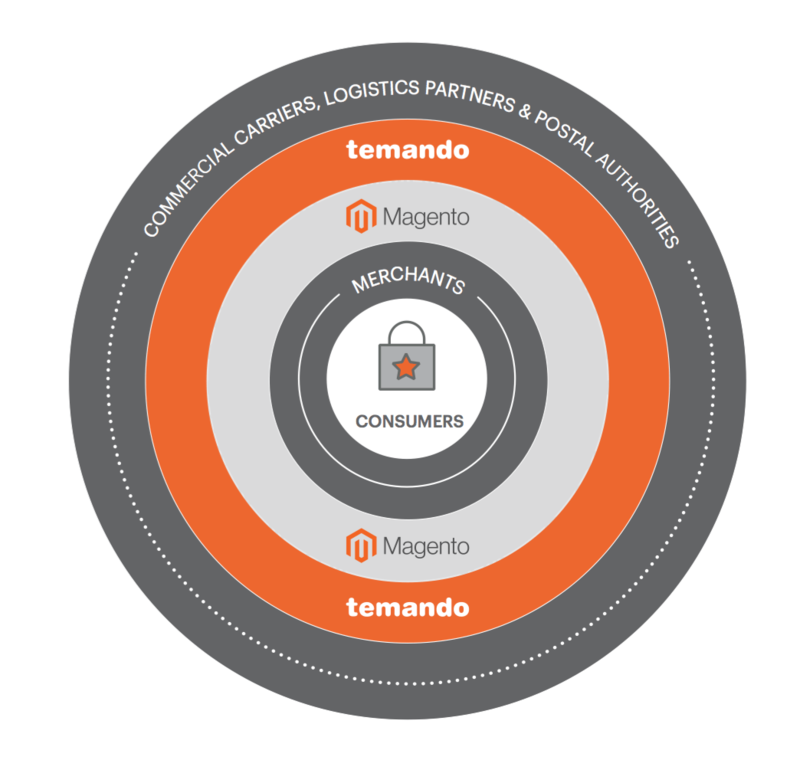 Temando powers Magento Shipping with an enterprise-grade API that provides speed, scalability, reliability, and connectivity with third party WMS, OMS, and ERP systems. Built on the latest AWS and micro service technology, Magento Shipping is easy to set up and configure. It provides instant access to the newest carriers and carrier add-ons without the need for software updates. Magento is a recognised leader in the Enterprise B2B sector by industry analysts Forresters. Traditionally ERP systems have been the application of choice of the typical B2B supplier selling online for many years. However sophisticated digitisation of procurement processes and changes in buyer expectations, todays B2B buyer is benchmarking his experience against that of leading online retailers. Magento B2B is a core component of the Magento 2 Commerce Application and is therefore included in the licence. Having all the aspects of B2C Commerce with the capability to implement complex channel management functionality, workflow customisation and eProcurement integration. Drive recurring revenue with fast ordering. Buyers can enter SKUs or upload a CSV file, set up requisition lists, or re-order previous orders. Deliver exceptional service with the ability to create orders for customers or assist with orders in process. Arm your sales team with tablets to use your responsive site for on-the-spot sales. Show your buyers accurate, real-time inventory from all sources and supply chain partners. Use automated business rules to intelligently source inventory for lower fulfilment costs and faster delivery times. Improve operations with a single solution for managing orders from all sales channels. Easily create personalized catalogues, price lists, and promotions for customer groups. Aid discovery with search, layered navigation, and automated up-sell and cross-sell capabilities. Boost sales while reducing customer questions with rich product content: videos, image zoom, detailed descriptions, ratings and reviews, and more. Delight your customers across every device with a mobile-friendly, responsive site. Integrate with any backend system using extensive APIs and of-the-shelf extensions. Quickly meet any requirement with the open, modern, and flexible Magento platform. Focus on your business, rather than IT, with a reliable, managed cloud solution. Fuel your growth with actionable insights from 75 built-in business intelligence reports. Gain efficiencies and get closer to your customers with a platform that is a B2B and B2C commerce leader. Data volume has been exploding, for example 90% of all data was crated in the last 2 years. Consumer digital footprints are everywhere and are generating vast quantities of data. To derive meaningful insights from this golden nugget of information, merchants need to be able to mine the data in a structured and scalable way. 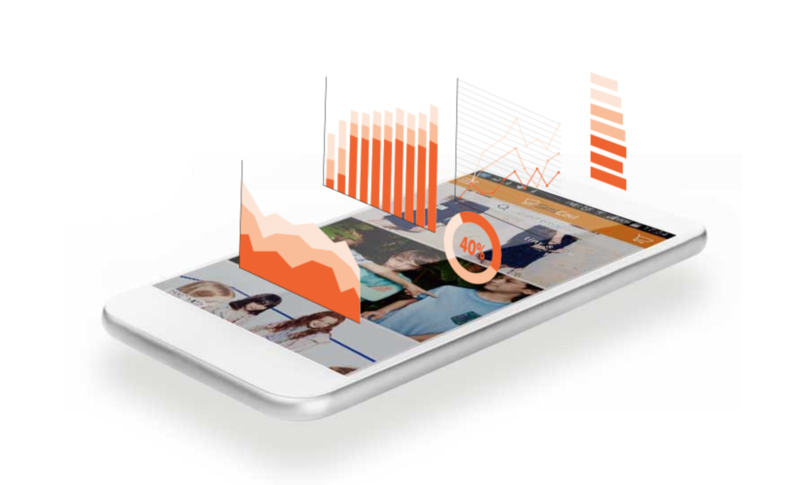 Magento Business Intelligence is available in two versions, MBI Pro (Formerly RJ Metrics) is an enterprise analytics platform optimised for the Magento platform (all versions) that enables merchants to consolidate multiple data sources—from MySQL to Salesforce to Facebook Ads—into a single cloud-based data warehouse that is accessible across the organization. MBI Essentials is a “lite” version, that comes with 75 predefined reports and a maximum of 5 dashboards, see the comparison below. Use cohort analysis to measure the effects your growth efforts on customer behaviour, from conversion rate optimization to customer loyalty programs. Measure revenue consistently and accurately in every single scenario. 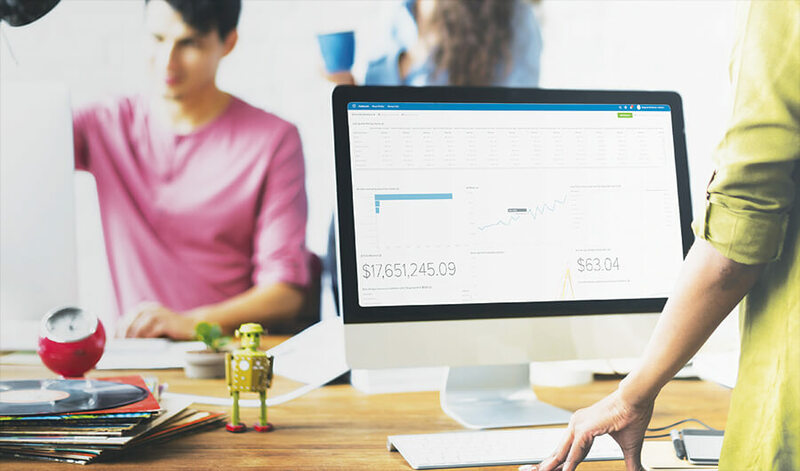 With one single source of truth, you’ll always be able to trust revenue metrics, whether a report is coming from your CFO or your Marketing Director. What differentiates the best businesses is how they incorporate and adapt to customer feedback, and churn is the clearest feedback you can get. Learn the behaviours and characteristics of your customers that are causing your customers to churn. Identify the channels and campaigns bringing in valuable, repeat customers by calculating ROI using your most important metrics: customer acquisition cost and customer lifetime value. Send better emails by building highly targeted lists based on purchase behaviour, date of last purchase, customer lifetime value, or any other customer attribute. Improve holiday performance by using data to optimize ad spend on key shopping days, ensure you have enough inventory on hand, and plan a follow-up strategy to turn holiday buyers into loyal customers. Built on AWS, a fully redundant cloud hosting infrastructure that provides optimized performance, resilience, and elastic scalability. Magento Commerce Cloud offers all the benefits of modern cloud computing that are most commonly associated with SaaS solutions: Elastic scalability, high resilience and availability, PCI compliance, global availability and automated patching while maintaining the flexibility of Magento’s extensible architecture, enhanced by a global ecosystem of innovative partners and developers. Magento-developed build scripts and service configuration ensure every instance is correctly tuned and configured for optimal merchant performance. All code deployments are Git-based for consistency and repeatability, with read-only production environments for hardened security. A full REST API and a scriptable command line interface ensures ease of integration with external systems and compatibility with existing code management workflows. Rapidly spin up, merge, clone, and tear down unlimited environments at will, for development tasks, QA testing, or production issue diagnosis. Move with confidence straight from development to UAT to production, in a continuous manner across code branches and development teams. Back in December 2017, Magento released Magento 2.2.2 introducing new tools and functions that offer further insights and an even better experience for your buyers. These features are now included in the annual subscription.